يشكل فندق Warringa Surf Holiday Apartments بموقعه الممتاز في قلب سارفرس باراديس نقطة انطلاق ممتازة لاستكشاف جولد كوست. يمكن من هنا للضيوف الاستمتاع بسهولة الوصول إلى كل ما تقدمه هذه المدينة النابضة بالحياة. سوف يعشق النزلاء موقع هذا الفندق، فهو قريب من أهم المعالم السياحية في المدينة كمثل كاسكيد, Royal Queensland Art Society, Brad Holmes Surf Coaching . يعمل Warringa Surf Holiday Apartments على ضمان إقامة مريحة لضيوفه من خلال خدماته الممتازة وحسن ضيافته. لضمان راحة ضيوفه، يقدم الفندق الخدمات التالية: تسجيل وصول/خروج سريع, تخزين الأمتعة, واي فاي في المناطق العامة, صف السيارات, غرفة عائلية . في الفندق غرف نوم يتجاوز عددها 7، كلها مجهزة بعناية وجمال وبعضها مزود بـ تلفزيون بشاشة مسطحة, رف للملابس, قهوة فورية مجانية, شاي مجاني, بياضات. كما أن مجموعة الخدمات الواسعة الموجودة في الفندق لضمان راحتك تترك لك الكثير من الخيارات لقضاء وقتك أثناء فترة إقامتك. استمتع بخدمات لا يعلى عليها وعنوان ذو اعتبار في Warringa Surf Holiday Apartments . يرجى ملاحظة أن ساعات عمل المكتب هي من 08:30 AM - 05:00 PM في أيام الأسبوع العادية، و 08:30 AM - 12:00 PM يوم السبت، ويكون مغلقًا يوم الأحد وفي العطلات الرسمية. عند الوصول في غير ساعات عمل المكتب، يرجى الاتصال بالاستقبال لإجراء ترتيبات بديلة لتسجيل الوصول. هذا العقار لا يسمح بحجوزات حفلات نهاية السنة الدراسية. ليس لدى العقار سياسات أو إجراءات أو موارد تلبي الاحتياجات الفريدة المطلوبة لحفلات تخّرج المدارس خلال فترة هذه الاحتفالات السنوية. وعلى وجه التحديد لا توجد لدى الفندق الموارد الملائمة لتوفير أفراد أمن مؤهلين لضمان سلامة وراحة النزلاء خلال هذه الفترة. لهذا السبب نحتفظ بالحق في رفض الحجوزات من خريجي المدراس و/أو الجامعات طوال فترة الاحتفالات بنهاية السنة الدراسية. The apartment location was great, just at the end of Surfer's Paradise. The apartment is quite secured and has a key for the car park, main entrance and rooms. 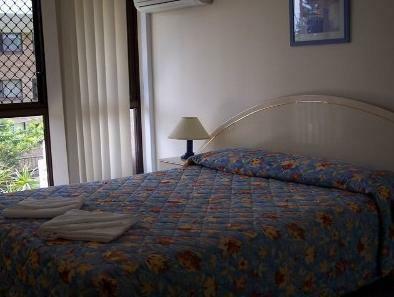 It also has good amenities with a washer, dryer, iron and even cooking facilities in the room. It is also spacious and comfortable. The staff is also very friendly and helpful! Warringa Surf is one of the best places to stay in Gold Coast and Liz Craig the manager is definitely as what people have reviewed before - just awesome, friendly and helpful. I will definitely come back! 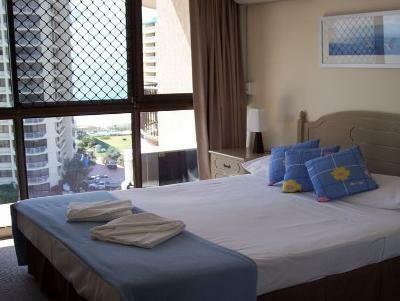 Warringa Surf Apartments are in a great location and a great view of the beach. Would recommend it to friends that aren’t to fussy. Staff were excellent after we arrived 25 min after hours, but checked us in no problems. rooms are clean and spacious. close to beach. we were on first floor, higher floors would have beach views. Go to Pacific Fair for 5 star shopping and dining experience. could have had 2 rolls of toilet paper, but minor issue really. This establishment needs major renovations, both the building itself and also its equipments (sofa, wardrobe, etc.). It is a very old building, with that musky smell everywhere. We encountered several cockroaches inside the wardrobes, in the living room, etc. If you want to book, make sure you pick the rooms with air-conditioning as some of the rooms don't have it installed. A great location and good value for money (would definitely stay here again). Great advise from Jiana when we first arrived (location of everything, tips and ideas). 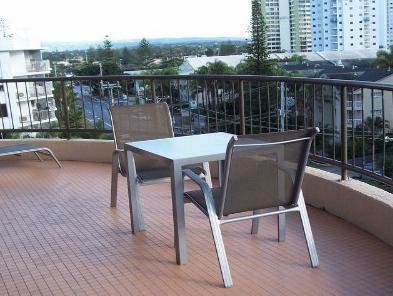 Easy walk to Surfers Paradise and an easy walk to restaurants at Broadbeach. We stayed in a one bedroom apartment on level 1 and it was perfect for us. Our 7nights there were great. We took the 1bedroom ocean view with aircon. Beautiful ocean view. Nice and cooling. We did not even use the aircon. Liz was extremely friendly and helpful. Bus stop just around the corner, n it goes to most of the main areas n themepark. Room is very clean n basic. Worth every penny. We will definitely stay at warringa surf again. It was a pleasant stay nice friendly staff.Location was good and the seaview from my room was simply awesome.Rented a car in gold coast and was given my own lot in the basement.Overall was happy with everything from the room to the service. Great location, good flexible staff and with decent amount of facilities. NEED GOOD CLEAN UP ALL AROUND,ESPECIALLY THE BATHROOM AND THE CARPET. PILLOWS SMELL. Face to beach and big rooms. View from the corridor, cleanliness & make you feel like your own home! Very comfortable. I would definately recomend anyone to stay here. Was my first and definitely not my last! Everything was great! 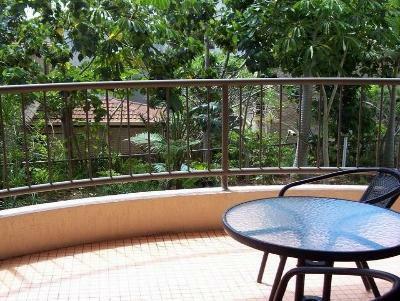 The location, cleanliness and facilities are provided as described! it is a very good apartment,near the bcach,there is a balcony with good view.the room has all furniture and Electrical appliances you need. the staff is very friendly. Clean, Staff & Value for Money. 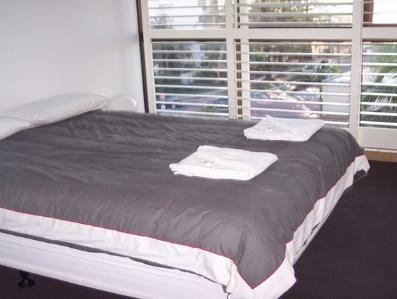 Fantastic apartment and the unit was spotlessly clean, the bed very comfortable. 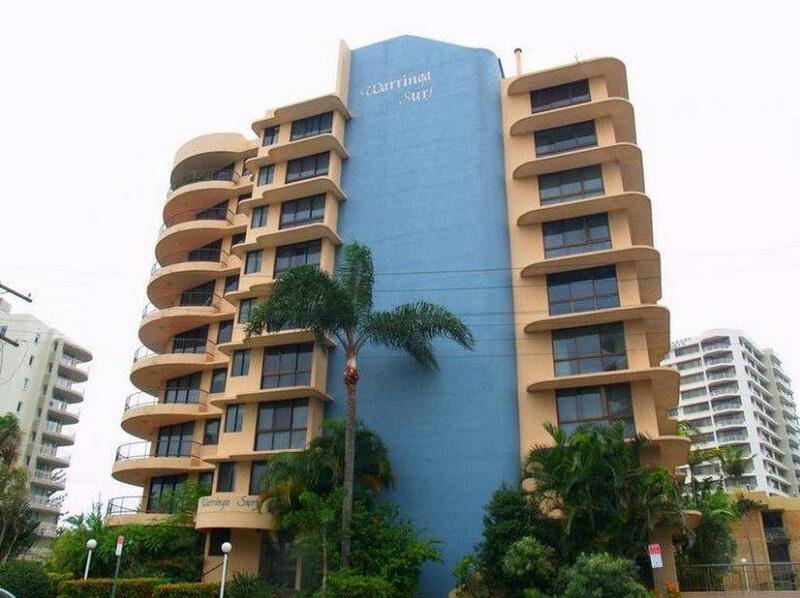 Short walk to both Surfers Paradise and Broadbeach. Managers very helpful. definitely recommend this.